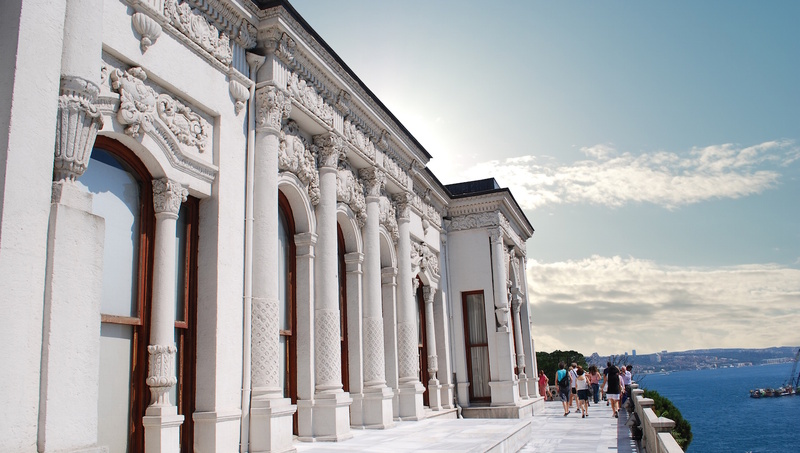 Topkapi Palace's history is vibrant. The building served as the residential, administrative, educational and cultural building of the Ottoman sultans for nearly 400 of their 624 reigning years. Today it doubles as the Topkapi Palace museum. Be sure to notice the Fountain of the Executioner next to the ticket windows before you head in. This is where the executioner would wash his hand and sword after a decapitation. 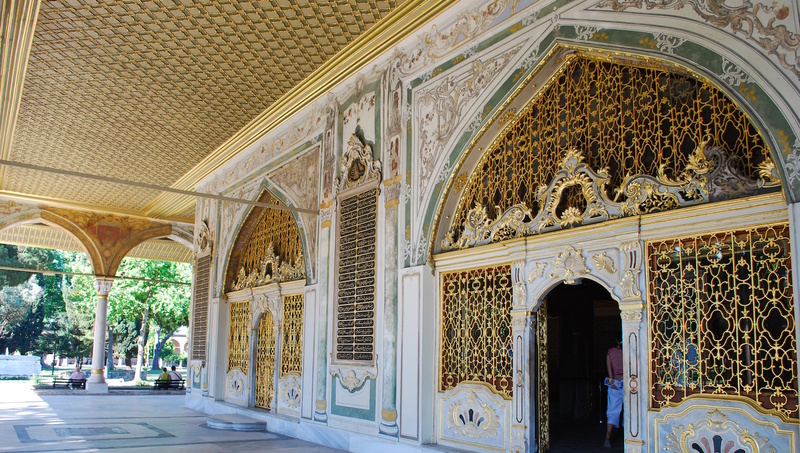 This impressive building of hundreds of rooms where the sultan and his family lived has been restored in lush ornate fashion. It’s a separate ticket, but definitely worth it. The Topkapi Palace diamond is the pride of the palace. 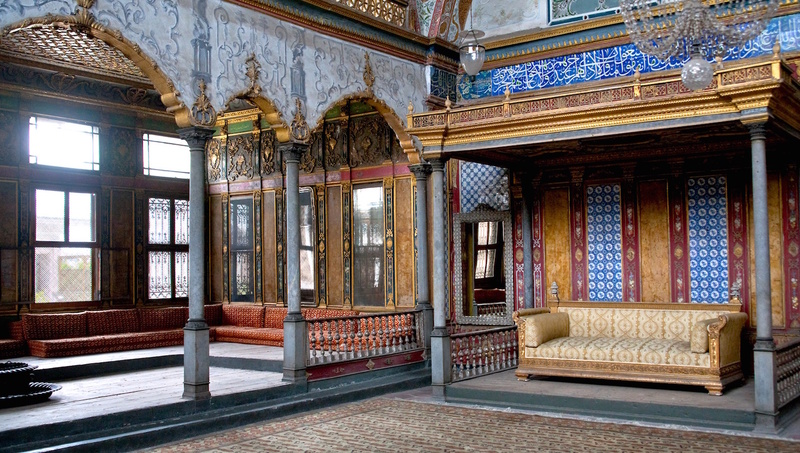 The riches in the Treasury are not purely aesthetics, they make up the complex Topkapi Palace history. Relics from the Prophet Mohammed and Moses, among others, are collectively called the Sacred Trusts. You’ll need at least half a day to explore the palace, but make a whole day out of it to really take it all in. Try to arrive at opening to avoid the crowds! You’ll get denied entrance to the Sacred Relics Department if you’re showing some skin. No shorts, short skirts or sleeveless shirts are permitted. 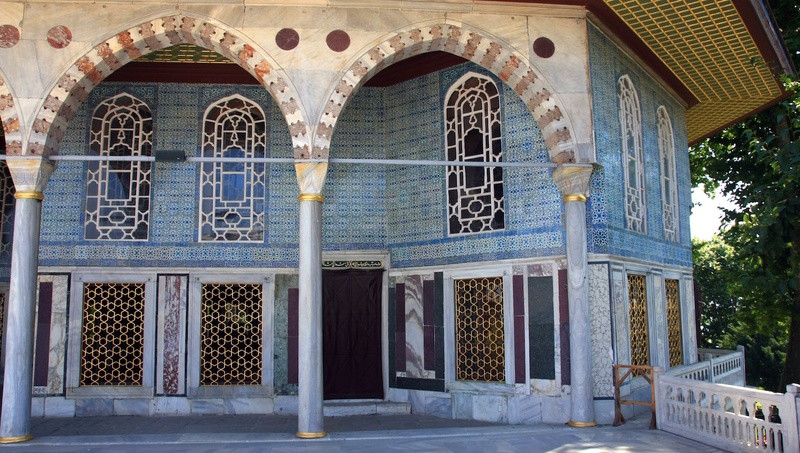 It is the holiest section of Topkapi Palace, Turkey. Along with the harem section, Topkapi Palace, Istanbul houses four courtyards or “avlu.” Shade or eateries for resting aren’t too hard to find. There’s a café and a restaurant in the first courtyard, a second café in the third courtyard, and a second restaurant in the fourth. Open Wednesday through Monday. October 26 - April 15, 9:00AM to 4:45PM. April 15 - October 26, 9:00AM to 6:45PM. Museum tickets start at 30TL (about $11), Harem tickets start at 15TL (about $5) and continue up with perks and tours. A guide will definitely add to the experience! Audio guides are also available for rent at the palace. 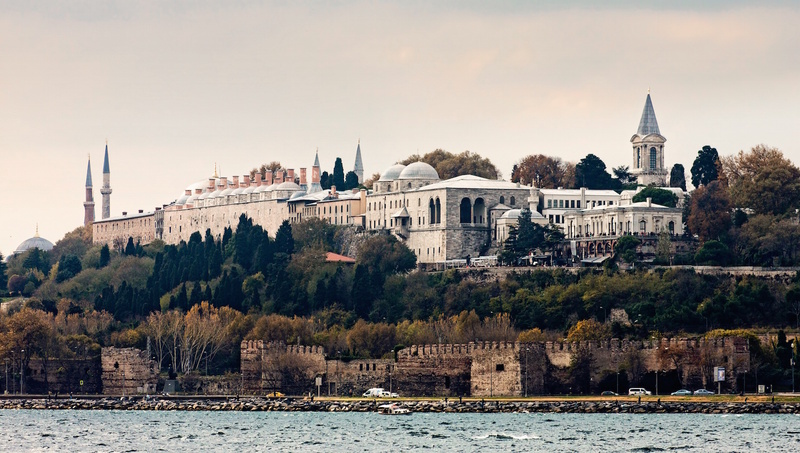 Take the tram to the Gülhane or Sultanahmet stations, or the Marmaray to the Sirkeci Station. It's a short walk from any station. Cloths can be provided by onsite staff if you need to cover up during your visit to the Sacred Relics Department. Stroller and photography are not permitted inside, so please plan ahead. And from there I could explore the library, the kitchen etc on my on. Livan is a great guide, very knowledageable and he speaks an easily understandable English.